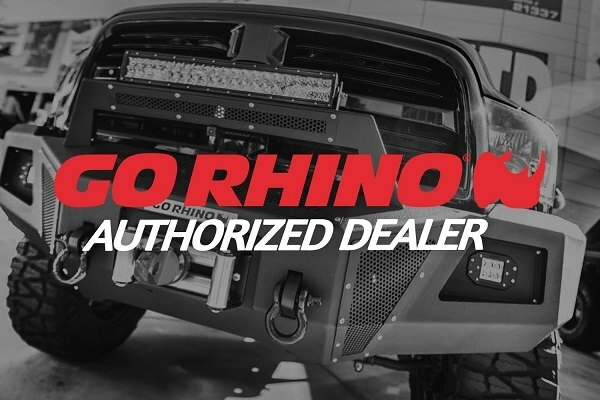 Go Rhino continues to release more and more extraordinary products for Jeep owners and today we'd like to introduce their Rockline Series Full Width HD Front and Rear Bumpers, that are now available at CARiD! 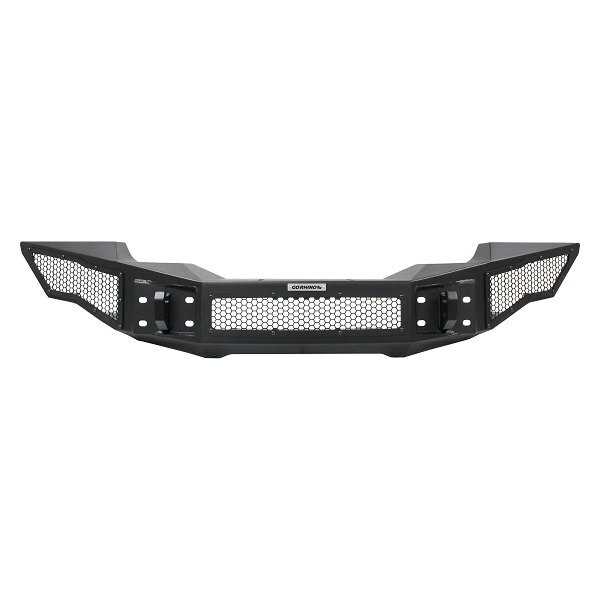 Rockline bumper is an excellent replacement option for your Jeep JK or JL, that not only looks good but also performs great on the trail. 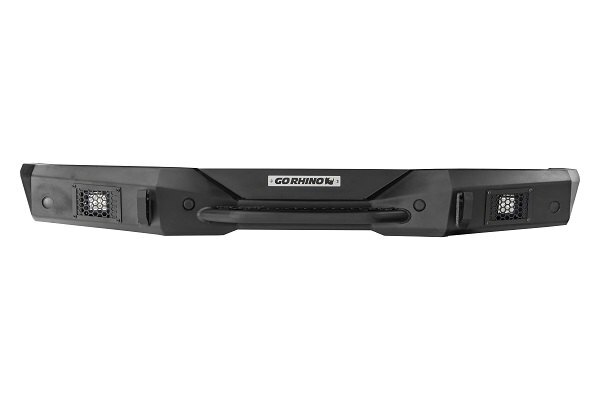 - Includes patented Rhino Hook D-Ring mounts. 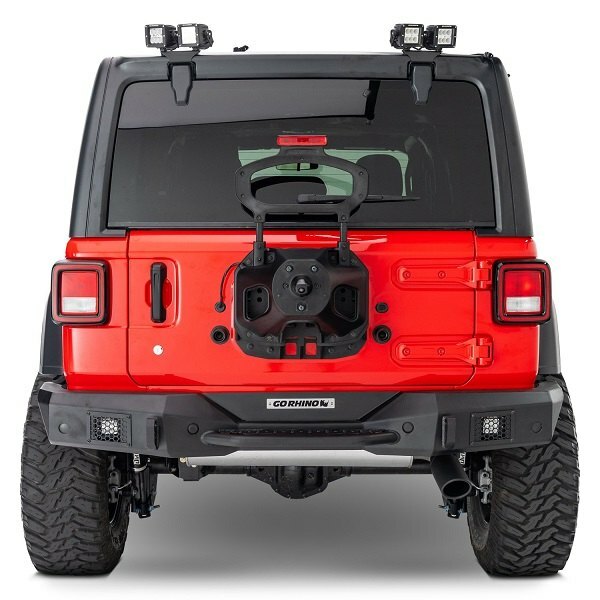 - Tire carrier NOT included. If any questions appear, or you need a price quote, leave your comments and inquiries below. 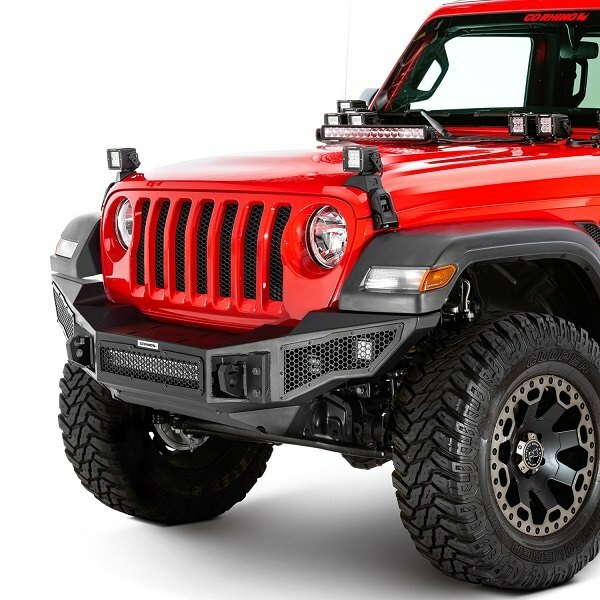 Quick Reply: Complete your Jeep's rugged style with Go Rhino Rockline Bumpers on!